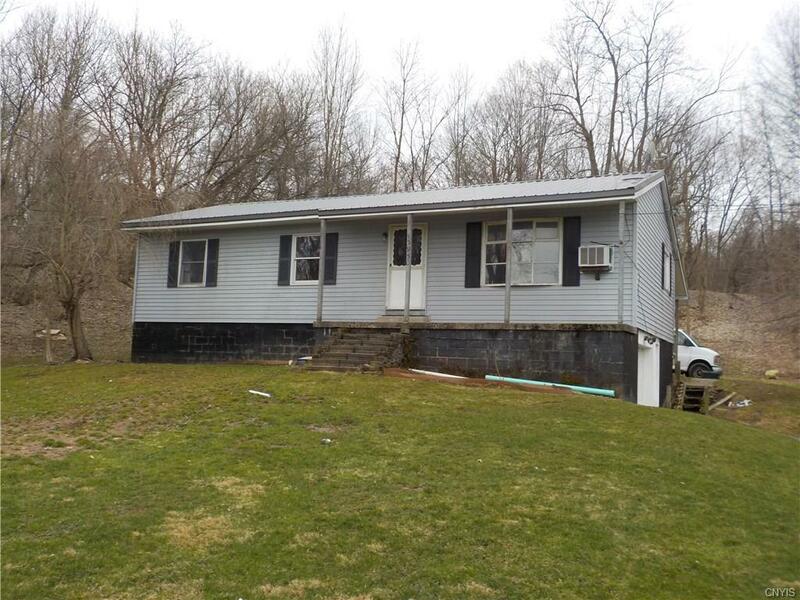 3 Bed rm 2 bath Ranch; master bdrm w/bath (both baths are newer). Full walk-out basement w/garage area. First floor laundry. Also includes microwave, LP gas stove, range hood. Large 3/4 acre lot 133 x 200. Metal roof, hardwood floors in dining area and living room will be refinished. Large covered rear deck, open front porch. Seller doing work. Will paint the interior. No showing until Monday April 15th due to floors being refinished.